Extremity reconstruction implies the restoration of limbs and limb functions to patients who have suffered the removal of limbs due to trauma or medical removal after cancer or other issues. This also includes limb removal after vascular diseases, metabolic diseases, infections, or rheumatoid arthritis. Lower extremity reconstruction involves three key segments based on the location of the wound, into knees, feet, and the tibia bone. Extremity reconstruction can allow for a high level of restoration of mobility and lifestyle to patients. Owing to the increasing counts of patients suffering from cancers, chronic diseases, and accident related injuries that result in the removal of extremities, it is becoming increasingly important for developments in this field to take up greater investments from the healthcare industry. Plastic surgeons can also make use of flaps or skin grafts to hide the wounds on extremities, giving patients a significantly faster recovery rate into daily life and a normal lifestyle. Nearly all types of extremity reconstruction surgeries will require the use of general anesthesia. Additional care is also needed from the patient’s side post-surgery. For example, they are expected to follow s stricter diet for the speedy recovery of limbs. Smokers are especially encouraged to quit in order to prevent deterioration of wound and to normalize the overall healing rate. The global market for extremity reconstruction is expected to witness a high level of growth in the next few years. The rising number of cases of abnormalities and injuries in the lower and upper extremity of the human body is one of the vital factors estimated to encourage the growth of the global market in the coming years. In addition, several advancements in the healthcare infrastructure are anticipated to accelerate the development of the market in the near future. The implant devices for different parts of the human body comprises the extremity reconstruction market in the coming years. A tremendous rise in the geriatric population and the rising incidences of obesity and diabetes are some of the major factors that are estimated to fuel the development of the global extremity reconstruction market in the near future. Moreover, the increasing cases of osteoarthritis and rheumatoid are likely to accelerate the growth of the market in the coming years. The rising awareness regarding the benefits of small joint reconstruction implants among patients is predicted to encourage the growth of the global extremity reconstruction market in the next few years. 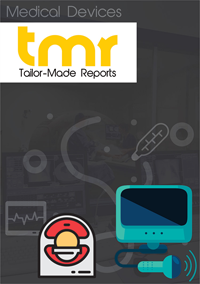 Technological advancements and the availability of required infrastructure are projected to augment extremity reconstruction market in North America market in the next few years. The leading players operating in the extremity reconstruction market across the globe are emphasizing on introducing innovative implants in order to attract a large number of consumers and attain a leading position in the market. Additionally, the rising level of competition is predicted to expand the product portfolio and benefit the patients in the coming years. The increasing incidence of injuries, abnormalities, and congenital defects in the upper or lower extremity of human body has fuelled the demand for reconstructive surgical procedures. Implant devices for the shoulder, wrist, ankle joints, digits, elbow, and foot are part of the extremity reconstruction market. The primary driver of the global extremity reconstruction market is the large pool of geriatric population. According to the Centers of Disease Control and Prevention, with a rise in the geriatric population in the U.S., by the year 2040, the number of patients affected by arthritis is expected to increase to 78 million. Since aged people are more prone to injuries, growth in geriatric population is expected to fuel the demand for reconstructive surgical procedures. The rising incidence of joint disorders such as rheumatoid and osteoarthritis arthritis, coupled with the globally increasing incidence of diabetes and obesity, and rising geriatric population are driving the global extremity reconstruction market. Moreover, growing awareness among patients about the advantages of small joint reconstruction implants and enhanced technology such as development of reverse shoulder implants, stem less shoulder implants, and ankle reconstruction implants, which aid in recovering ankle mobility are projected to boost the market. The zest to get back to the active lifestyle, post-injury or trauma will supplement the demand for extremity reconstruction surgeries. On the downside, complications associated with extremity reconstruction surgeries and unfavorable reimbursement scenario will pose as threat to the global extremity reconstruction market. The global market for extremity reconstruction surgeries is evolving at fast pace. 3D implants are fast gaining traction among arthritis patients. It helps in better motion, it is less painful, and results in quick recovery. Various market giants have largely invested in this technology, to hold their position over the forecast period. In February 2016, Zimmer Biomet received the US FDA approval for its 3D printed ankle fusion system. Similarly, in 2015 Stryker added 3D printed patellas and tibial baseplates to their Triathlon Tritanium Cone Augments and Triathlon Tritanium Knee System, which are used in knee surgeries. The company also has plans to build 3D manufacturing facility with investment of around US$ 400 mn. Recently, a shoulder hemiarthroplasty or a shoulder replacement surgery was successfully carried out in Gandhi Hospital. This is a first-of-its-kind surgery performed by the doctors of the state-run hospital. Shoulder arthroplasty is a fast evolving field of orthopedics concentrated on treating specific, painful ailments of the gleno humeral articulation. The region to hold a leading share of the market is North America, and is expected to grow at a strong rate during the forecast period. Increased awareness regarding the benefits of extremity reconstruction devices, rise in occurrence of joint disorders, coupled with escalating geriatric population, encouraging reimbursement rates, presence of innovative technologies, and quest for better quality of life are the factors fuelling the demand for reconstruction procedures in this region. During the forecast period, Asia Pacific is forecast to emerge as a lucrative market for extremity reconstruction. The rate of growth can be attributed to increase in acceptance of advanced technologies, presence of ample growth opportunities for the treatment of small joint disorders, and rise in awareness about the advantages of extremity reconstruction surgeries. Some of the leading players operating in the global extremity reconstruction market are Arthrex, Inc., DePuy Synthes, Integra Lifesciences Holdings Corporation, Acumed, Inc., CONMED Corporation, Stryker Corporation, Zimmer Biomet Holdings, Inc., Wright Medical Group N.V., Smith & Nephew plc, and Skeletal Dynamics LLC. The key market participants are bringing out innovative implants, which are wear and corrosion resistant to gain a stronghold in the market. Established players to boost clinical outcomes are making improvements in reconstruction procedures.